Traveler’s Notebook formerly known as Midori Traveler’s Notebook is a leather notebook cover system. 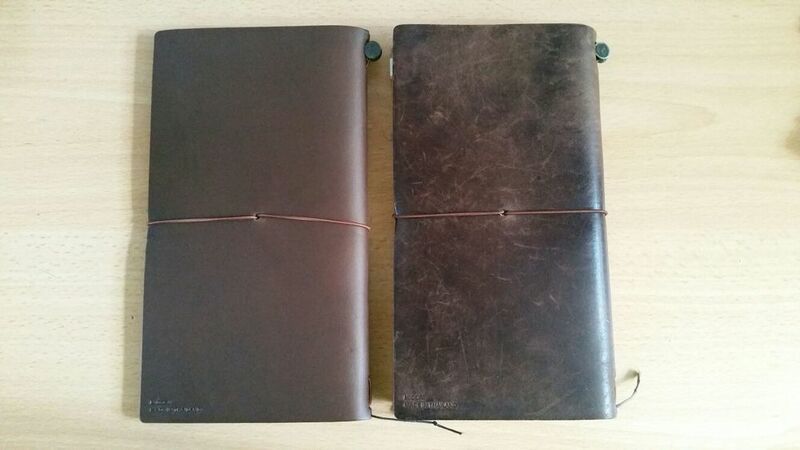 The Traveler’s Notebook comes in two sizes namely the Regular and Passport. Each size comes in brown, black or camel. There is also a limited edition Blue Traveler’s Notebook released recently as a collaboration with Pan-Am Airline. 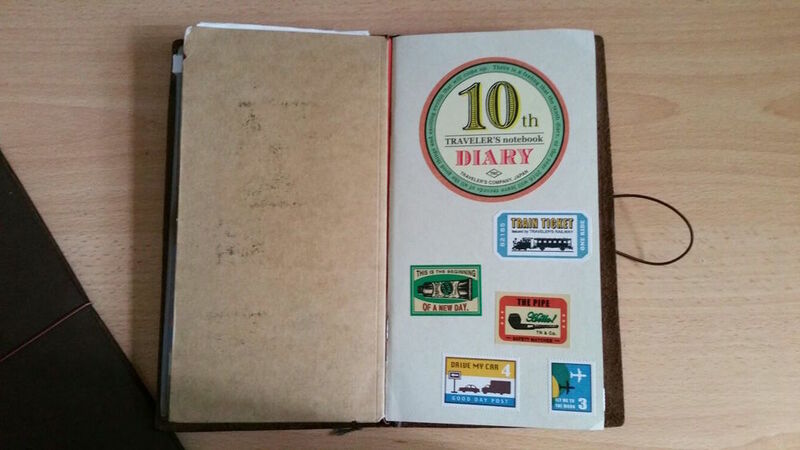 There are also other variations such as the 10th Anniversary Limited Mini Size Notebook. I am currently using the Regular size. It is a good size but not the standard A and B paper sizes. If you are looking to fit a Field Notes or Rhodia in it, it will not fit nicely. On the bright side, Midori have a really nice selection of notebooks with fountain pen friendly paper. 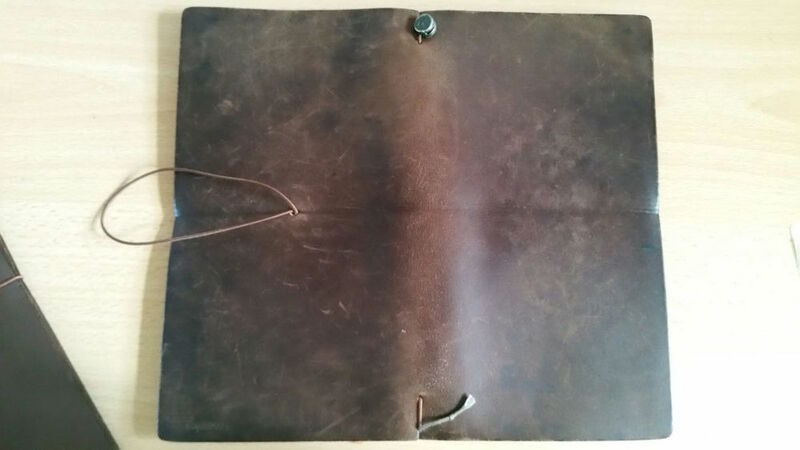 Traveler’s Notebook’s leather is made using vegetable tanned leather. Brand new, the leather have a chemical smell to it. Some do love the smell but I don’t. Personally, I air the Traveler’s Notebook for a day or two before using. I love the flexibility of the Traveler’s Notebook. It allows the user to customise the notebook according to their needs. 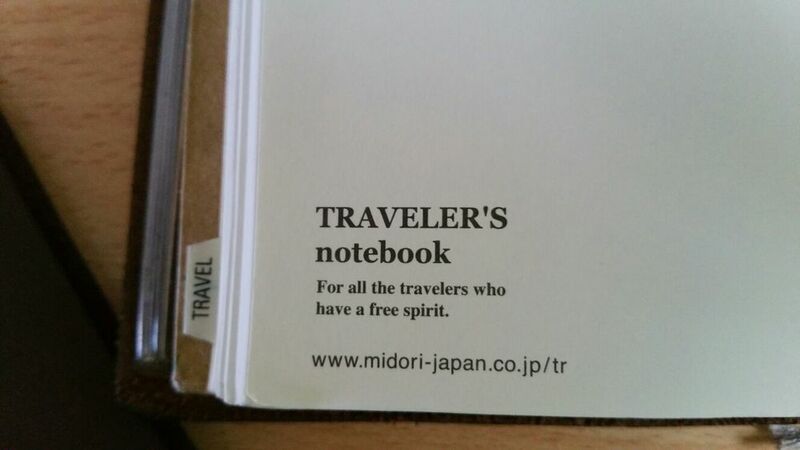 The standard Traveler’s Notebook comes with a blank notebook. Various inserts are available for purchase such as kraft files, different types of notebooks, sticker sets, pen clips to go along with the notebook. Elastic bands are available to increase the number of inserts you can add to the book. For my current setup, I have a Zipper Case (No.008), Kraft Paper Folder (No.020), 2016 Monthly Calender and a Lightweight Paper Notebook (No.013). This have been my setup for the past 3 years for I am one that prefers to carry it light. There are users who stuff in 4 notebooks, making it one chunky beast. The more notebooks you attach, the more the edge of the notebookss will be sticking out at different lengths. 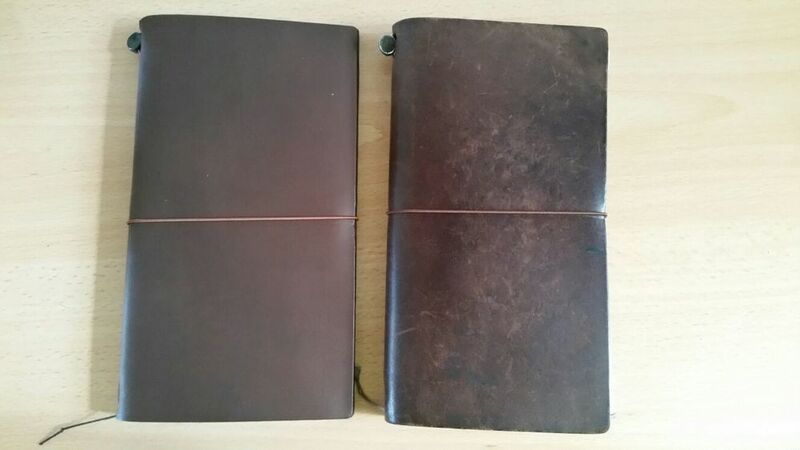 This will get more noticeable as you fit more notebooks into the Traveler’s Notebook. Do note that if you place the zipper in the front like I do, the plastic zipper will leave a mark on the interior top corner of the leather. My favourite insert is the Lightweight Paper. The paper is really thin so each notebook holds 128 pages. It is very similar to the Tomoe River Paper. Despite the low GSM, the paper is very good at holding fountain pen inks. So far I have been flexing my fountain pens with no worries of any bleedthrough. It is also very smooth paper which makes it a joy to write in. One drawback of this notebook is the thinness, ghosting is very obvious regardless of the ink I use. 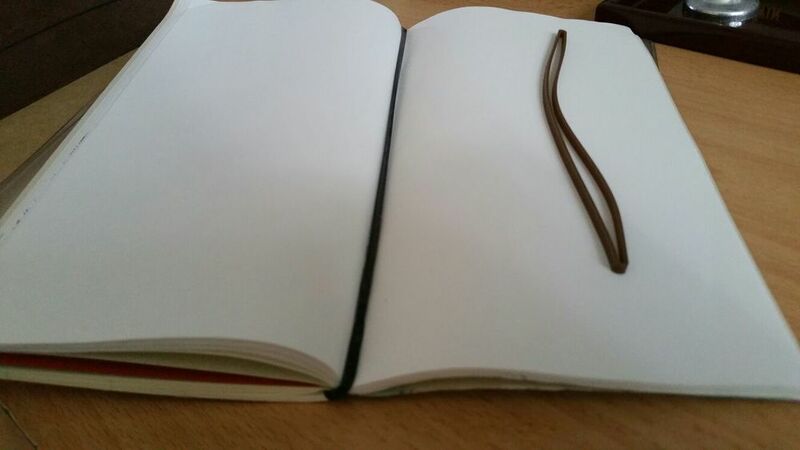 If you can’t stand ghosting, Blank Notebook (No.003) would be a better option. Of course, there are other options such as Lined (No.001), Grid (No.002), Kraft Paper (No.014) etc. 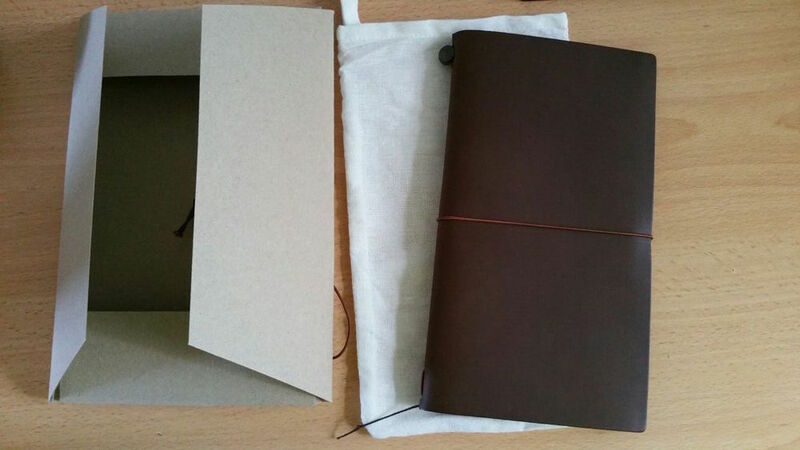 Traveler’s Notebook is made of vegetable tanned leather. The leather will develop scratches overtime. Some might not like it but I love this aspect of it. I find that it adds character and gives the leather a vintage feel. I neither baby my Traveler’s Notebook nor do I apply conditioner onto the leather. Being easy to maintain and able to take hard knocks of daily usage is a plus for me. There is a tin charm at the top of the spine of the Traveler’s Notebook. This prevents the inserts from being able to lay completely flat. It does not bother me, I do not even notice the charm when I am using it. It only became an issue when I place the notebook on top of a keyboard. It will depress a key when I am writing in it. For those that prefer to have it removed, there is a Repair Kit (No.009) that you can purchase to remove it and replace the strings. At the bottom of the spine, there is a slit which can be used to secure the bookmark string. It’s a tiny detail but I like it. It prevents the bookmark string moving around and still allows me to get to the bookmarked page easily. The centre band that holds the book close is hinged at the back of the book. The knob causes a little bump. As usual, this does not bother me but some may not like it. You can change the bands to other colours from the Repair Kit or add charms to it to personalise your Traveler’s Notebook. 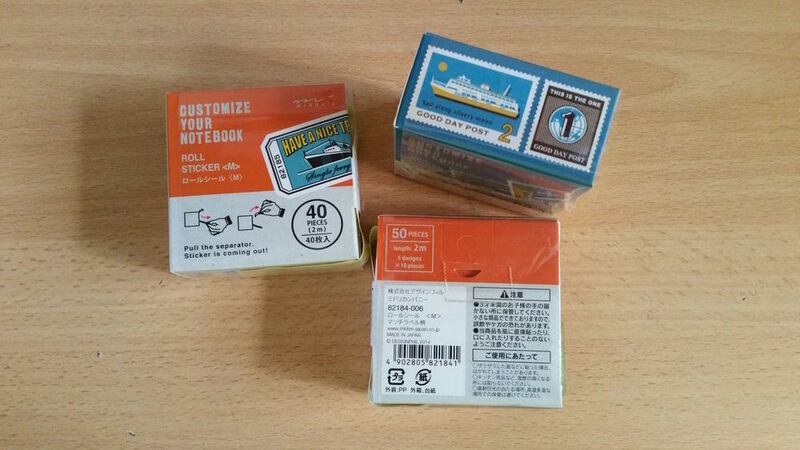 Various accessories that can be purchased to personalise the Traveler’s Notebook. I love the sticker packs. There are leather pen holders that comes in small (No.15) and medium (No.16) sizes. The small pen holder is more of a loop for your pen to clip onto. I would recommend going for the medium if you really want fit your pen inside the loop. It can fit in my thickest pens such as Pilot Custom 823 and Omas Milord. This is based on well seasoned leather pen loop, the leather might have stretched a little over time. However, the leather makes it hard to remove the pen easily so it is more of two hand action if you use wider pens like the Pilot Custom 823. Do note that by using the clip on the leather, it will leave a permanent mark on the leather. One way to avoid this is to attach the clip to a cover of a notebook together with a thick cardboard. 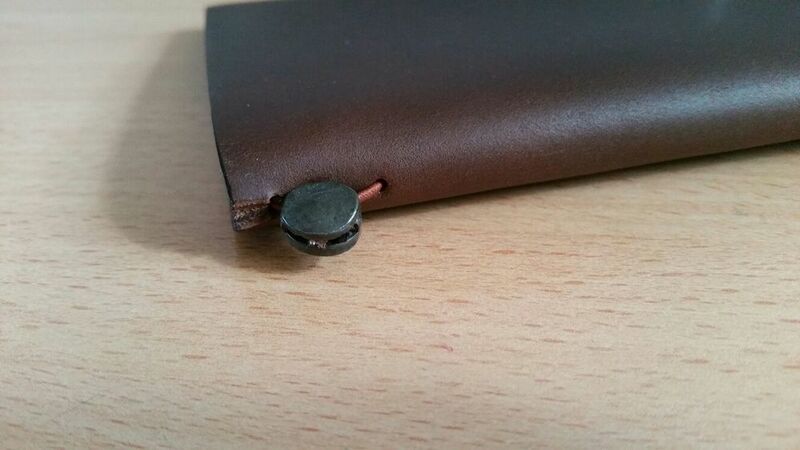 This allows me to shift and remove the clip whenever I want without damaging the leather. 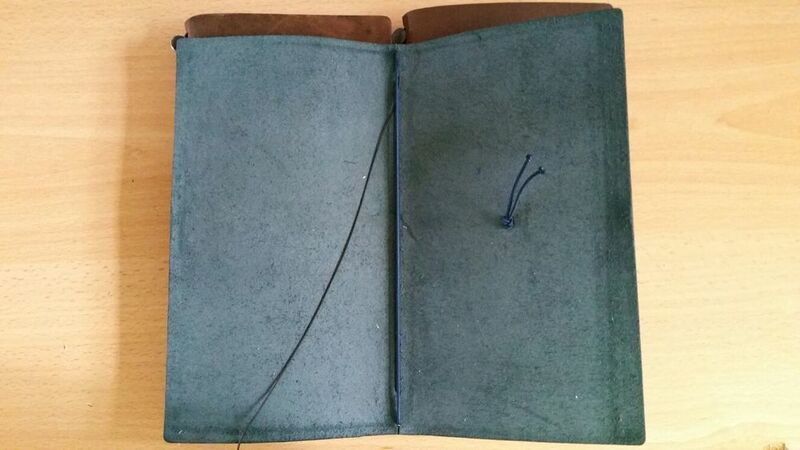 And by attaching it in the center of the Traveler’s Notebook allows more protection of the pen. I do not use the clip often as I carry my pens in my pen pouch. Overall, I love the Traveler’s Notebook for its flexibility and the availability of good papers. There are also many online resources for calendar formats and beautiful pictures of how other users and artists uses their Traveler’s Notebook. However, it is expensive to get it set up the way you want it. All accessories have to be purchased separately but it is a good investment as the leather cover can last a few years. 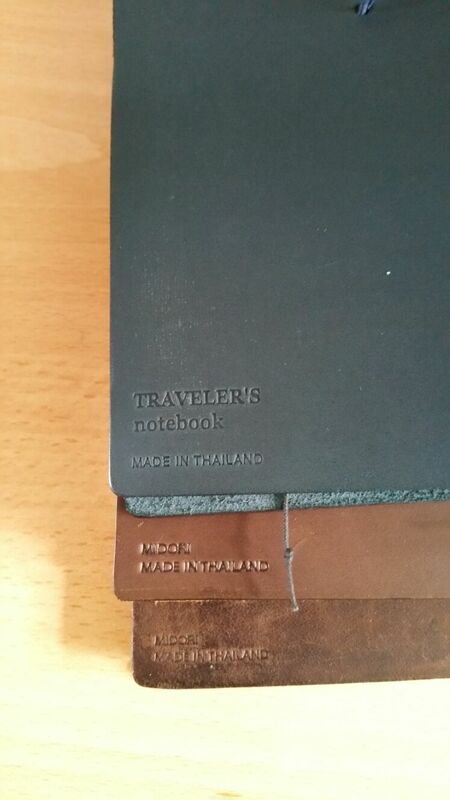 I have been using my Traveler’s Notebook for 3 years and it became my daily planner and companion.